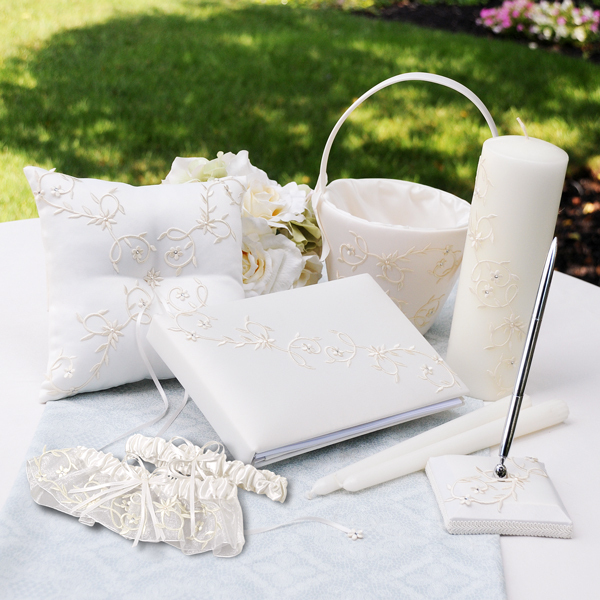 A touch of whimsy and sheer elegance meet with this Sparkling Entwined Wedding Collection. 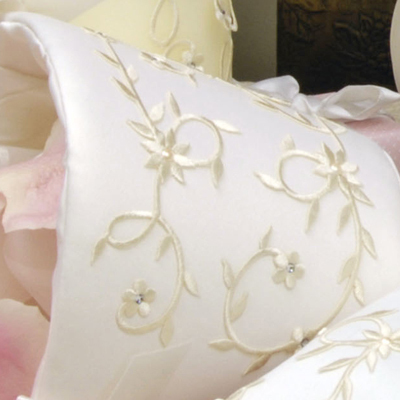 Rich Duchesse satin provides the backdrop for a sweeping pattern of vines and flowers, each hand embellished with glass pearls and Swarovski crystals. 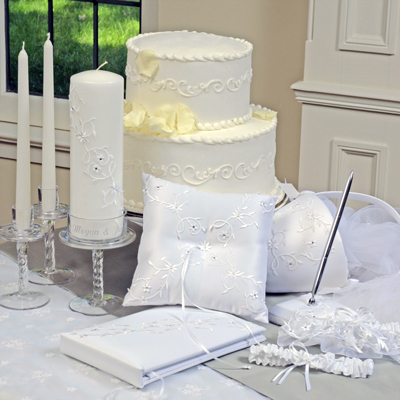 With its vintage feel and classic style, this collection feels like a dream come true! Available in White (W) and Ivory (I). 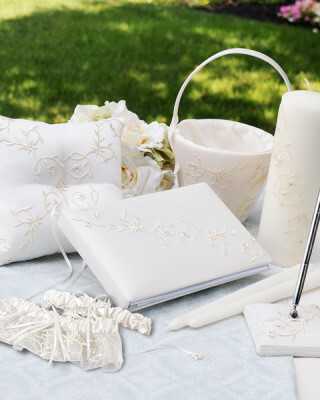 This wedding collection includes: Keepsake Garter & Free Tossing Garter, Unity Candle with Tapers, Guest Book with Pen, Flower Girl Basket and a Ring Bearer Pillow. Items may be sold separately, but save 10% when purchased as a collection. Size: Unity candle measures 3 inches by 9 inches. Tapers measure 10 inches. Guest book measures 8.75 by 6 inches. Matching pen measures 3.5 by 3.5 by 8.5 inches. Flower Girl basket measures 4.5 by 8 inches. 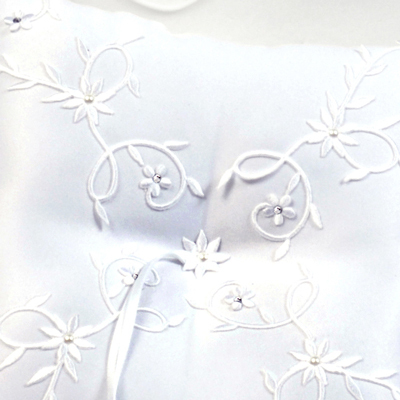 Ring bearer pillow measures 7.5 by 7.5 inches. Materials: Duchesse satin, Swarovski crystals and glass pearls. *Please Note: Ivory tapers may have slight color variations due to the dye process. 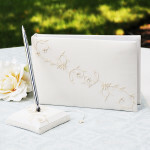 Tag: Sparkling Entwined Wedding Collection.